Visual artist Susan Mills works entirely in book form. 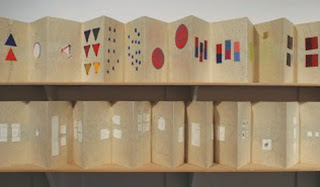 Her artist books are very small editions - often an edition of one. Interaction of Tantra references Josef Albers' 1963 textbook Interaction of Color and the anonymous abstract Tantric paintings from Rajasthan, India, collected by French poet Frank André Jamme. 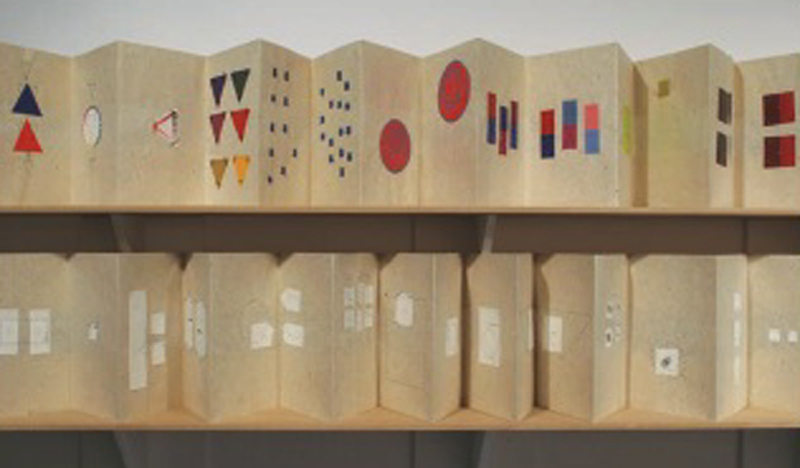 "Susan Mills' two accordion books are directly referential to Josef Albers’ iconic 1963 publication Interaction of Color in which he explores formal relationships in colour theory. 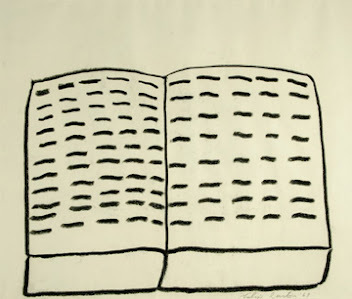 In her work titled Interaction of Tantra, Mills excises illustrations and texts from the recent Albers edition, sewing portions of the colour plates into the first volume and black and white text with illustrations and diagrams into the second. As two separate volumes, the dual strands of image and text, vision and intellect braid together into a single work of art. To further underscore this fusion of Eastern and Western worldviews, Mills—literally—stitches the excised image/texts from the Albers’ book onto handmade Japanese mitsumotta chiri paper using personally chosen sewing patterns of basic shapes (circles, squares, coils, and arrows), each laden with elemental visual associations." Copyright Susan Mills. Powered by Blogger.